It’s incredibly hard not to be impressed by Charles Handy and even harder not to find him likeable. The scope of his intellect and humanity is evident on the page, in his interviews and in his broadcasts. He reeks of credibility and warmth. Do a Google image search of him and the pictures you find epitomise English middle-class academic decency (despite the fact that he’s Irish); jumpers, churchyards, armchairs and a benign smile. Appearances are deceptive, of course. For somebody who has been criticised as something of a soppy idealist, he always had a habit of winding people up: not necessarily because they disagreed with what he said, but because they didn’t like it. The problem they have is that when you look back on what he was saying about the changing nature of work over twenty years ago, he was largely right. 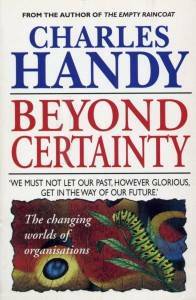 Handy graduated from Oxford University in 1956 with a first-class degree in classics, history and philosophy. He joined Shell International, where he spent ten years as a marketing director, manager and economist. Challenged by his wife Elizabeth, who claimed Shell “owned him”, he left in 1967 to establish the Sloan Programme at Britain’s first Graduate Business School in London. The seeds of all of his later work were sown in these early years – themes such as village life, spirituality, classicism, the corporation, management theory and the relationship between employees and employers. These ideas began to coalesce in Handy’s first book, Understanding Organisations, published in 1976. On the surface an academic text book, it highlighted certain issues that were to become the central themes of his later work, not least by pointing out that organisations exist as communities and not just as economic entities, and that this must be reflected in their relationships with their employees. In the Age of Unreason, 1989, he describes an organisational structure now very familiar – a “federal organisation” in which power and responsibility devolve from a small corporate centre to business units and, ultimately, to those closest to the action. In other words, a core organisation with a devolved structure of teams supported by contractors, freelancers and consultants. Or, as he later described it in a characteristic metaphor, the relationship of the elephant and the flea. Elephants are the established organisations; fleas are creative individuals or small independent businesses that tend to be non-conformist and don’t fit comfortably within the established organisations. The elephants deliver efficiency and scale and cultivate predictability, which they see as the key to efficiency. To increase all three, elephants might ally themselves with other elephants, increasing scale and pooling resources, but not always guaranteeing a different or significantly better future. Handy argues that elephants need some fleas to help achieve this. Awareness of his influence may be waning, as have sales of his most recent books The Hungry Spirit: New Thinking for a New World (2008), Beyond Certainty (2011) and The Second Curve(2015), but you can still hear Handy’s voice echo throughout modern management thinking, and a lot of what you read about office design. His long-held belief that the office is a social space, a village for the people who work in it, is now received wisdom for established deskheads and comes as news only to workplace neophytes. His argument that people are a business’ greatest asset may be a clapped-out cliche, but it is one that continues to inform decisions about what organisations give to these people and the things with which they surround them. It was also Handy who popularised the idea that organisations should see themselves as having a social role, and so he helped to frame the debate about the nature of organisations, their duties to stakeholders, shareholders and corporate social responsibility. Criticisms, when they have come Handy’s way, have tended to come from those who point out how easy it is for a wealthy man who has taken a conscious decision to only work six months a year to pontificate about the search for spiritual meaning in work. He has also found himself in the firing line of those who simply don’t like what he has to say: shareholders who don’t like him saying the company exists to do more than just make them money; individuals who don’t like him saying that their careers are uncertain, probably doomed and that they’ll need to develop new skills. But, as he points out himself, he is often describing what he observes, not prescribing solutions. His work is pessimistic in the short term, but optimistic in the long term – “life without hope is dismal”. 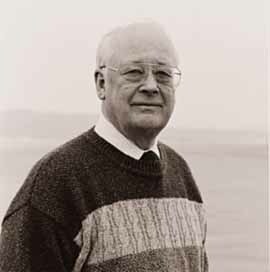 Charles Handy is an Irish author/philosopher specialising in organisational behaviour and management. Now in his eighties, Handy prefers to describe himself as a social philosopher. He has consistently been rated among the Thinkers 50, the most influential living management thinkers, and was appointed CBE in 2000. He is also known to many in Britain for his Thought for the Day contributions on BBC Radio 4. Handy’s main concern is the implication for society, and for individuals, of the dramatic changes that technology, demography and economics are bringing to the workplace and to all our lives. His books on these themes notably include The Elephant and Flea (2001), a personal reflection on our changing society and ways of working, and The Age of Paradox (1995). Is work important to us because we need it to be important?